This spring, Chris Haines’ project will feature on a new Channel 4 TV programme about a pioneering street of self-builders in Graven Hill, Oxfordshire. The contemporary, cost-effective house was planned in collaboration with London architecture practice Studio Bark and uses a new technique called U-Build. Built as a two-bedroom detached house, it is the UK’s first large-scale example of the U-Build method, which uses a cost-effective CNC modular plywood system. The majority of the structure is custom-made for the space and incorporates energy saving features such as a roof fitted with photovoltaic solar panels which harvests rainwater. 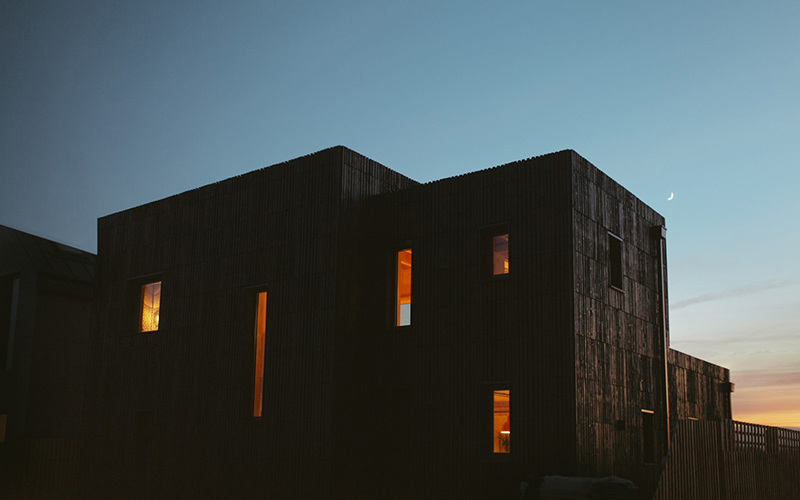 “The timber cladding is made with wood from local woodlands and we insulated the walls with sheep’s wool. We avoided using large cranes or machinery for the build: everything was assembled and bolted by hand. – Chris Haines, Project Manager. The U-Build shell was constructed in eight weeks with the assistance of a group of architecture students from UK universities and the finished house is due to feature on a new season of Grand Designs on 25 April. Chris graduated from Urban Design MArch at The Bartlett School of Architecture in 2014 and now works in central London for property consultancy, Knight Frank. Graven Hill is the largest self-build development in the UK. Located on a disused Ministry of Defence base south of Bicester, it will eventually have 1,900 homes, with the intention of most of these being a variety of custom-built, self-built and affordable homes. Lead image: U-Build by Chris Haines and Studio Bark. All photography courtesy of Lenny Codd.